To go with LG’s dazzling array, already, of 3D capable TVs, the Korean electronics behemoth has decided to release a 3D capable Blu-ray player to pump some 3D content as well as display it. So, what we have here is a keenly priced and capable Blu-ray player with the bonus of it being able to handle new-fangled 3D content. Physically, the player is quite slim and compact so should comfortably fit in with the rest of your AV gear. It’s not as eye catching as similar players but all the front mounted gubbins – ports and buttons – are concealed behind a transparent plastic flap. There is, of course, a display panel but this is not the biggest and may be hard to read if you sit some way from the player. As for connectivity, there is a front mounted USB port (mainly used for your own content playback as the player has built-in wireless connectivity), a single v1.4 HDMI port, an Ethernet socket, optical and co-ax digital audio outs, standard phono audio outputs, and composite and component video outs. As mentioned eralier, the LG BX580 had built-in wirelss 802.11n connectivity and you can use this, or the Ethernet connector, to take advantdage of the player’s DLNA or BD Live support. However, as there is no internal memory, you’ll need to whack in a memory stick in to the front facing USB port in order to download the Live content to the player. Using the DLNA standard, you can stream audio, video and pictures to the LG BX580 from any suitably enabled PCs in your house. There are a good number of supported audio and video formats such as MKV, AVI, MP4, DivX HD, MP3, WMA and JPEG. 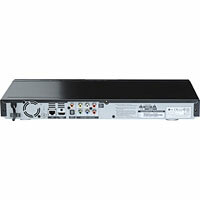 This makes the LG BX580 a great multimedia hub for streaming movies from your PC to your big telly. You can also use any inserted memory stick to burn CDs to. Still on the subject of audio, the player can handle both Dolby TrueHD and DTS HD Master Audio decoding. 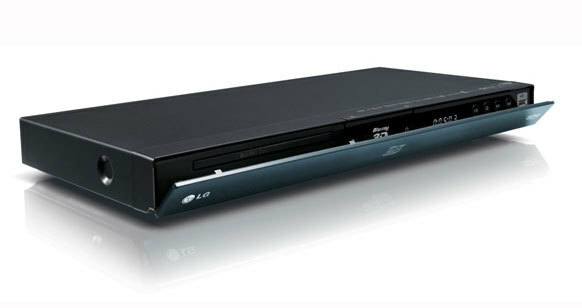 The LG BX580 has a very intuitive and easy use on-screen menu system accessed by a sensibly laid out remote control. As with most of the manufacturers, there is some cross-support between devices with some basic TV controls included for you to access your LG 3D TV. There a decent amount of picture settings that can be tweaked and 3D mode is handled automatically and kicks in whenever a 3D Blu-ray is played back. This can be turned off should the experience differ slightly from your preconceptions! In use, the LG BX580 has a dashed good go at 3D playback. Obviously the quality will ulitmately depend on your 3D TV but when paired with a quality screen, it produces some excellent 3D visuals. Images and effects are sharp but never harsh and ghosting is hradly noticable. The picture depth and colour reproduction are also first class and, again, as long as you have a good display, the 3D effects don’t tire your eyes as much as some other players. For standard 2D content, the player comes in around the average to above average mark. The same picture sharpness is carried over from the 3D world and motion is nice and fluid. Detail and some dark shadow hadnling are the main areas where the player could do a little better but it’s certainly a very capable performer, all round. For the price, it’s great value. If you have a decent LG 3D TV then this player should definitely be near the top of any shortlist you may have compiled.